Cape Verde is a small country, consisting of ten small volcanic islands in the Atlantic Ocean. They are located some 350 miles from the western shores of Senegal in West Africa. The largest of the islands is called Santiago and it is also a home of the country’s capital city – Praia. The most beautiful island with amazing sandy beaches is called Sal. It is the centre of tourism in the country, with many marvellous resorts and plenty of water sports activities. Cape Verde is one of the most peaceful countries in Africa with stable democracy so you will be completely safe, unlike some other places on the continent. There are a few airports on Cape Verde and one of them is located on the Sal Island, so reaching it isn’t a problem at all. 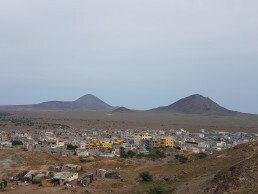 Cape Verde does not have a very long history since all of the islands were completely uninhabited until the 15th century. That is when they were discovered and settled by European colonists mostly from Portugal. Since that moment the archipelago became an important part of the world trade as a bustling centre that attracted merchants from all corners of the Earth. Sometimes they would also attract pirates which used to attack the cities but Cape Verde kept its position as a prosperous region with fast development. After the WWII the people from Cape Verde started their struggle for independence from Portugal which was crowned with success in 1975. Ever since this small country has made tourism its main branch of the economy, so most of the people live from foreign visitors. That position makes them perfect hosts and they know how to treat travellers ensuring a pleasant stay. Sal is a tourist heaven, there are many great places to stay and even more things to do or destinations to visit. The island used to be a centre of salt productions and even its name comes from the Portuguese word for salt. 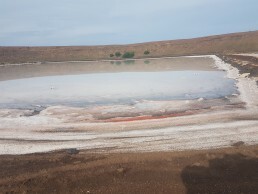 That is why you should definitively visit the Pedra Lume Salt Crater. This is an old salt mine with a huge crater filled with salty water. Having a bath here will be a unique experience, just be careful of your eyes. Also, visit the Viveiro Botanical Garden which is a true oasis on an island mostly covered with sand. It is a nice place to have a rest from all the daily activities. Santa Maria is the main urban centre on the island with many interesting places. The old church is one of its most popular destinations and kitesurfing/surfing being its most popular sport. It is also a great place to have a walk along its beautiful beaches where you can meet the local fishermen returning with their catch. When it comes to daily activities, a must do is rent a quad or at least a bike. Sal’s surrounding is perfect for this kind of venture and will make you feel like you’re on Mars. Of course, most of the events are happening on the beach. Scuba diving is something everybody should try while on Sal since there are so many great spots to check out. The ocean is clear blue, and you will be amazed at its beauty, you’ll get to see some turtles and other interesting sea beings. 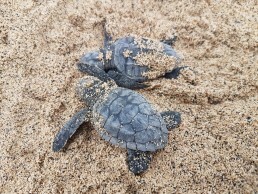 If you enjoy staying above the water then don’t miss a chance to visit Turtle Beach where you can witness a unique view of small turtles hatching and rush towards the sea. A big sport on Cave Verde is surfing and kitesurfing, the wind here is ideal for all kinds of surfing. The main and most interesting island, Sal, will offer a vast variety of lodging, but the most popular are hotels and private apartments or resorts. There are all kinds of hotels, ranging from the most luxurious ones to somewhat modest variants, but still decent enough to make your vacation unforgettable. One of the best-known hotels on the island of Sal in Cape Verde is most certainly Club Hotel Riu Funana. The luxurious hotel provides its guests all-inclusive, 24-hour service as well as a vast number of additional amenities like excursions, sports, and never-to-be-forgotten gastronomy. No wonder many of the tourists decide to stay in Club Hotel Riu Funana. It also has a private beach that provides you with a peaceful, and beautiful atmosphere, suitable for all those who yearn to have some rest and enjoy the great weather. Another excellent hotel, located exactly on the white, sandy beach is Morabeza Hotel. The main reason visitors book accommodation in this hotel particularly is a great offer and even better service. Morabeza hotel has three outdoor swimming pools, so if you feel like staying in the area of the hotel, you can spend time enjoying the shade of the gardens or having a bath in the pools. The island of Sal also offers services of many other five-star hotels, including Hotel Melia Tortuga, Hotel Dunas Do Sal, and Hotel Oasis Salinas Sea. But should you decide book somewhat modest lodging while on the island, you can still find four and three-star hotels such as Hotel Crioula, Aparthotel Ponta Preta, and Hotel Oasis Atlantico Belorizonte. Each of them will undoubtedly surprise you by the service offered as well as the polite staff, and most of them have wonderful gardens and outdoor swimming pools. Don’t hesitate to think about cheaper variants, because you still get excellent service and you save your money. Of course, if you are a budget traveller, then the best option is to rent an apartment on the island of Sal. The apartments still provide you with a great location. Apartments range from around £200 for a week’s stay. When it comes to apartments just make sure you firmly agree on a price. I, unfortunately, got scammed by Blinky Tours with my apartment, and to cut a long story short got charged an extra 75 euros because I used the spare room in my apartment and had a friend from England stay with me. This was the only negative on the whole island of Cape Verde Sal. Having in mind that Sal is an Island, you can predict the main dishes here. Of course, seafood dominates, and if you are one of those who enjoys Tuna, then Sal is the right place for you. When it comes to the traditional cuisine, then it has to be admitted Sal has a hearty cuisine. The main national dish is the so-called ‘cachupa’. It’s a kind of a stew, consisting of many ingredients, including mashed maize, onions, green bananas, potatoes, tomatoes and cabbage. ‘Cachupa’ is also seasoned with various spices some of which consider bay leaves, pimento and garlic. Therefore, should you visit the island of Sal, don’t miss the chance to taste ‘cachupa’ since it can be eaten at any time of the day, for breakfast, lunch, or dinner. In addition, there is another delicious and excellent dish, called ‘canjy de galinha’, which is simply a must at every wedding. It is a kind of a rice soup with chicken, and not eating it while on Sal will be among the biggest mistakes of your life. There are also other national meals like caldo de peixe, beaf de atum, carne guisado or lapas. They will all enthral you with the ways of preparation and most certainly the taste. Visiting Sal means having the opportunity to enjoy in numerous water sports and activities. Tourists usually decide to spend some time fishing or scuba diving as the clean water and interesting coral reeves will enthrall every nature lover. You can also go hiking or canoeing. Whilst there are many things to do in Cape Verde, you must take at least one day to do the island tour. 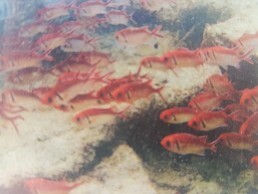 More on things to do on my other post, things to do in Cape Verde. (coming soon). Cape Verde Sal is perfect for kitesurfing and has many spots for this great sport, on shore, off-shore, cross-shore, flat-water and even a spot with incredible waves. The only place to stay if you’re coming for kitesurfing is Santa Maria. Why? Because then you are on top of all the best kitesurfing spots and Kite Beach is just a short taxi ride for 5 euros. Santa Maria is a small town and can be walked across within 15 minutes, so the location of your hotel/apartment shouldn’t be a problem. Should you take your own equipment or hire? It will cost you £100 return to take your own equipment of 2 kites, board, harness etc. To hire all the needed equipment it would cost you around £45 per day or £220 for a week. Do you need a wetsuit? I didn’t, the water was lovely and warm whilst iI was there in November/December and shorts was plenty. If you decide on a wetsuit then a shortie would be more than enough. 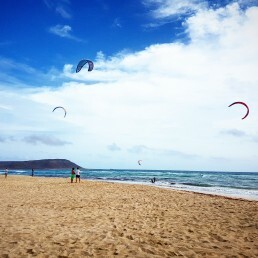 When to visit for kitesurfing? It’s said to blow constant wind from November to April, so this would be the perfect time for Kitesurfing in CapeVerde. 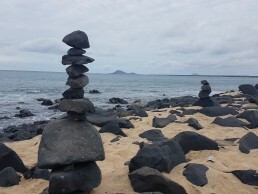 Is Cape Verde good for learning? Yes. Cape Verde has some great kitesurfing schools, and with so many different kitesurfing locations it makes learning kitesurfing a breeze. ”No Stress” is the saying in Cape Verde and with that saying alone shows they will teach you well and have all the time in the world for teaching you. On Kite Beach, there are plenty of people to help with the launching and landing of your kite. Kite beach does have a bar where snacks and drinks are available. One company that stood out more than the rest was Surf Hub. This company really couldn’t do enough for me. From taking me to kite beach to lending me snorkels and SUP boards when the wind was down. Everyone in this company was so friendly. It almost felt like I was a part of their Cape Verde family. Surf Hub also has a very nice apartment for rent, so it’s worth checking with them if this is available. This really is your one-stop shop for Cape Verde Sal, cheaper transfers, kitesurfing equipment, other water sports equipment, tours, and apartments. 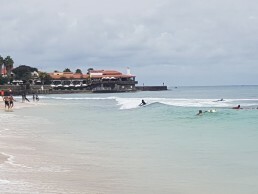 Cape Verde has beautiful beaches, so it is also perfect to bring the wife and kids while you’re out kitesurfing, and if you’re on your own, again it’s perfect as you will meet many like-minded people. Renting a quad bike and driving around for the day sounds like a great idea! Nearly went to Cape Verde a few years ago but never did, still need to go! You definitely should make time for Cape Verde, I was pleasantly surprised. That’s true I definitely wouldn’t have thought that a place like this was in Africa! Sounds like there are plenty of activities to keep you entertained for a while and the beaches just look amazing! That’s just a small list of things to do, there is so much to keep you entertained. The beaches are just incredible, worth the visit alone. Definitely not what I would have pictured it to be when you say Africa. Looks like there are plenty of activities to do and great food to try. Nice relaxing beaches. A little hidden gem. Nor did I at first, so many activities. A true hidden gem. This place looks beautiful! Always wanted to visit Cape Verde. I lived down in South Africa for a few years and love showing people how Africa & South Africa are not what people imagine! Really is beautiful, and like South Africa and Africa, this place again is so different and not what you would expect. Amazing photos! I’ve never been but I would love to plan a visit one day. Thank you!. you should visit one day, you won’t regret it! Cape Verde looks amazing. I would like to see Pedra Lume Salt Crater, very interesting. Thanks for all the suggestions. I hope to visit some day. What wonderful photos! I haven’t been to this part of the world yet, so it was nice to read about! You are so right, deserts and safaris are what I usually imagine when I think about that part of the world. Cape Verde sounds like a great way to mix up your trip. Thanks for sharing the tip! If you could add in Cape Verde into an African tour then that would be a perfect holiday!. As you said, it would be a great way to mix up your trip. Oh wow! That fried fish makes me hungry! Looks like a perfect destination to relax and unwind. 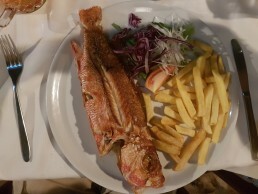 The fried fish in Cape Verde is an incredible meal, perfect after a day of relaxing. I have a friend who travels to the west coast of Africa to surf every year. He said the beach activities there are top notch. Would love to see it myself some day. Wonderful Photos! well written and very nice informative. I am a regular reader of your blog. Your blogs help me a lot. Somehow we don’t consider the sea when we think of Africa. The wildlife is always in focus. But there are some spectacular islands and beaches in the continent. Thanks for sharing this. This is on my Bucket list, would love to visit, enjoying your travel diary very much.